Arthur Thomas “Tommy” Allain, Jr. and Lori Allain starved and imprisoned their foster daughter, age 10, and physically abused her half-brother John Edwards Jr., age 14. The girl also described being sexually assaulted by her foster father and one of the Allains’ six biological children; however, no charges were filed. Edwards and his sister were removed from their biological mother Sonya Guntor in 2000. Guntor was a substance abuser and the children had behavioral problems. The state then placed the children with the Allains, who were friends of Guntor. Both Allains had prior criminal convictions. Reports of abuse by the Allains began soon afterwards: five calls came in to the child abuse hotline between September 2001 and September 2002. An investigation by children’s services substantiated the maltreatment reports, but instead of removing the children, children’s services drew up a safety plan with the Allains. Between January 2001 and May 2004, the Allains kept the girl locked in a bedroom with a double-keyed deadbolt. She only had a bucket to use for a bathroom. The Allains withheld food from her as punishment, claiming that she had an eating disorder that would cause her to vomit. When she was rescued, the girl weighed 29 lbs. The abuse came to light when her brother John Edwards Jr. ran away from home, having been punched in the chest for giving her food, and reported it to the authorities. At that time, the Allains said, they had been homeschooling her for two years. 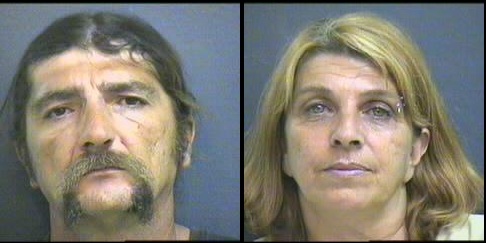 Both Allains were charged with aggravated child abuse and child neglect and sentenced . In 2008, John Jr. filed a civil suit against the Allains.